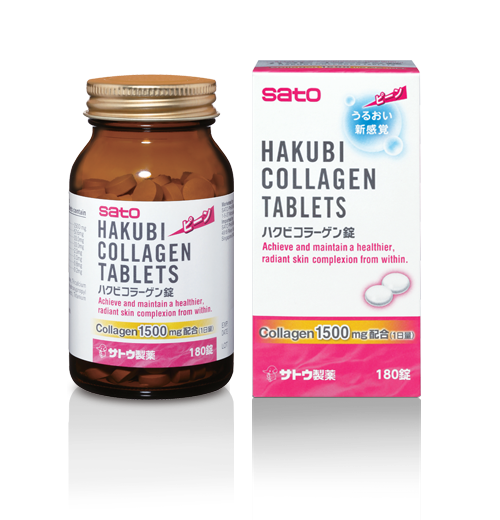 Formulated with collagen for healthier, younger looking skin. Vitamins C and B protect your skin from sun, promoting skin that glows. Slows down ageing with royal jelly that increases production of collagen. Keeps skin fully moisturized with hyaluronic acid. Indications: Supplement for maintaining good health. Dosage: 3 tablets, 2 times daily.